This is a fantasy map, of a continent, some friends and me created for a Pen and Paper game. Since we are german, the territroy names are as well. 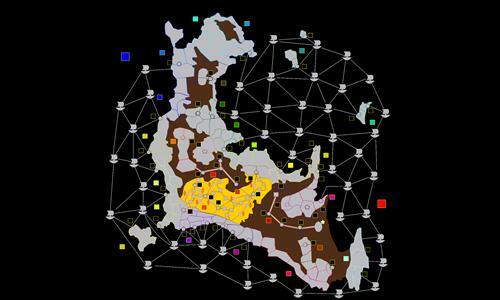 There are Cities with high Values, a desert with negative Bonuses on Shortcuts, and a relatively free network of ships, connecting to some islands. Review by Andalorium on 11/19/2016. Well made, and designed map, even with area and city bonuses it really worked for this map, though I believe a connection was missed from one of the ships/ sciffs to the Lorona port.